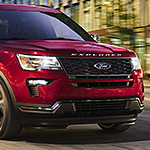 Blog Post List | Richardson Ford Inc.
We don't often associate tech features with luxury, but the new Ford Expedition boasts tech features that turn its cabin into a rolling yacht. That's probably why the Ford Expedition is one of our top-selling SUVs. 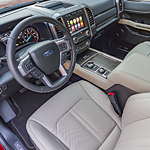 We here at Richardson Ford Inc. in Standish like our rides to be comfortable yet cutting edge, and that describes the Expedition's new tech features to a tee. Relax in the comfort of the cabin that uses advanced noise dampening materials to mute the noise of both the engine and the road outside. 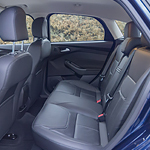 Seats feature bucket contours and leather trim. The Ford Certified Pre-Owned Vehicle Program is a great deal for consumers looking for a reliable, late-model vehicle but uncertain if they’re getting a good deal. These vehicles, which may be cars, trucks, SUVs or crossovers, are less than six years old with fewer than 80,000 miles. Stop in at Richardson Ford Inc. and all the information you need on this program and how it can help you own the used car you want. If you are in the market for a new heavy-duty pickup truck, the Ford Super Duty is an ideal match. The Ford Super Duty is a popular model among our consumers at Richardson Ford Inc. because it comes with a number of features that enhance durability. Let's read about a few of its durability features below. 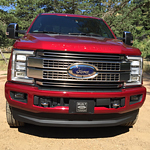 The Super Duty is made with a high-strength, military-grade aluminum-alloy body. 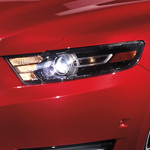 It has the only aluminum-alloy body of this strength in its class. 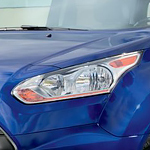 The body is resistant to dings and corrosion. If you need a comfortable transport van, consider purchasing a Ford Transit Passenger Wagon. This vehicle is designed to make it easy to transport large groups. The Transit allows you to drive in peace knowing that your passengers are happy and comfortable. The Ford Explorer is a beloved three-row SUV. This vehicle has been a go-to for drivers in Standish since it debuted many years ago. Today, the SUV continues to impress. It's available at Richardson Ford Inc. with automatic features that take the stress out of driving. If you're in the market for a distinctively stylish vehicle that truly performs, add the new Ford Focus to your shortlist. This vehicle is designed with drivers in mind, from the stylish and functional front grille and rear diffusers to the front and rear disc breaks, meticulous attention to detail comes standard on the Focus. Ford recently announced that it will feature the Ford Co-Pilot360 in its lineup of 2019 cars, SUVs, and trucks. 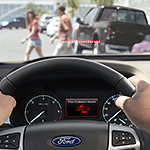 This is a package of innovative driver-assist technologies that help you stay safe when you are behind the wheel. Our staff at Richardson Ford Inc. has a mission to keep our consumers informed about the new technologies that come with our models. Read below to learn about a few features this package has to offer. The 2019 Ford Edge has been updated recently. While Ford looks to trim down its offerings, the auto manufacturer can’t deny the popularity of the all new Edge. With a sporty body design and updated performance, you get a lot of power in the base engine for an everyday living midsize SUV. Ford created the Edge to be a super affordable, sporty, and family-friendly vehicle with a lot of room for everything you need inside. Its latest adjustment does come with a performance increase.